Ariana Grande is busy. Between smashing records with her latest back-to-back musical projects, Sweetner and thank u, next, the accomplished pop star has been managing a personal life with twists and turns that have played out pretty publicly over the years. Channeling all the strife into a growing list of undeniable pop anthems like “no tears left to cry” and “breathin,” Grande has opened up about her struggles while creating a balm to soothe them. As the singer prepares to headline this weekend’s Coachella with a set that’s rumored to include (gasp!) *NSYNC, she took to her Instagram stories to release something that’s got fans pouring out support. 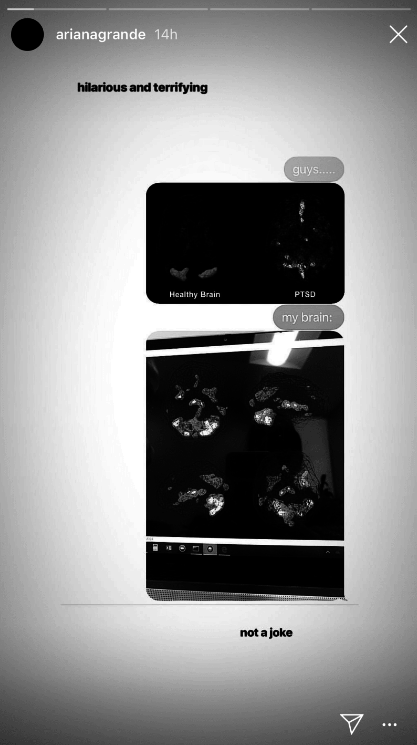 Uploading photos of side by side comparisons showing a “healthy brain” on the left next to a brain affected with Post Traumatic Stress Disorder on the right, the singer followed up with the results of her own brain scan. 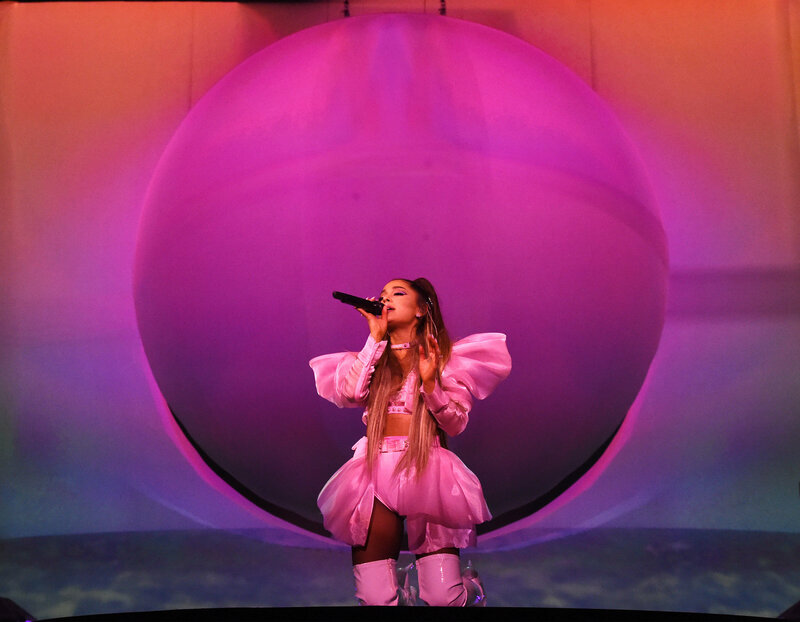 The photo of Grande’s brain scan, like the PTSD brain, was lit up in similar regions and showed the effects of some serious hardships the artist has endured. 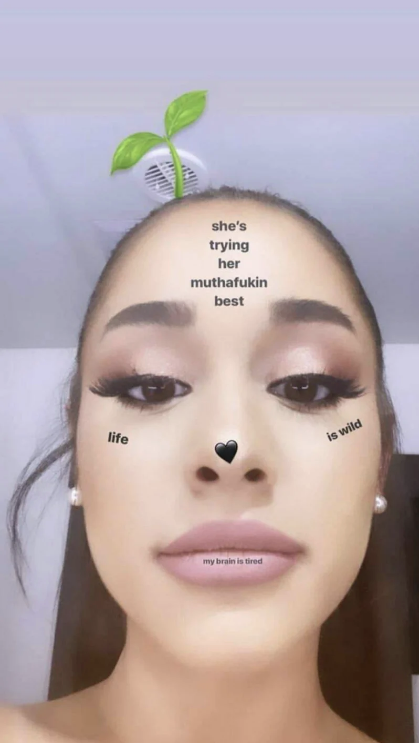 Always finding humor in the madness, the singer called the scans “hilarious and terrifying” and insisted she’s “trying her muthafukin best.” It goes without saying that Grande’s strength is something to take note of and her openness demonstrates the very real impact that trauma has on people universally beyond entertainment. While Grande’s in the middle of the US leg of her Sweetner tour, the singer is also getting ready to headline on the Coachella stage this weekend, becoming the youngest female artist to have the honor. Show the young diva some love and tune into her performance live streaming on Youtube on April 14th.